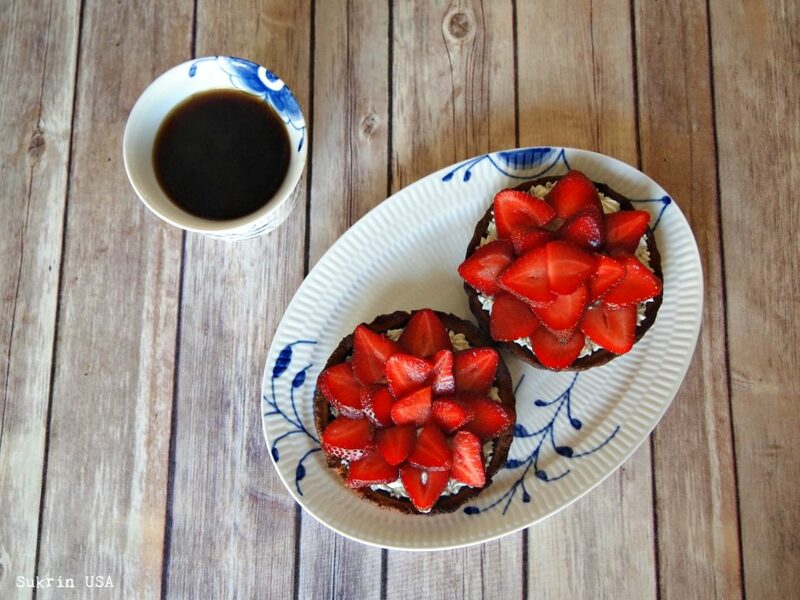 No Sugar Added Refreshing Strawberry Tartlets! 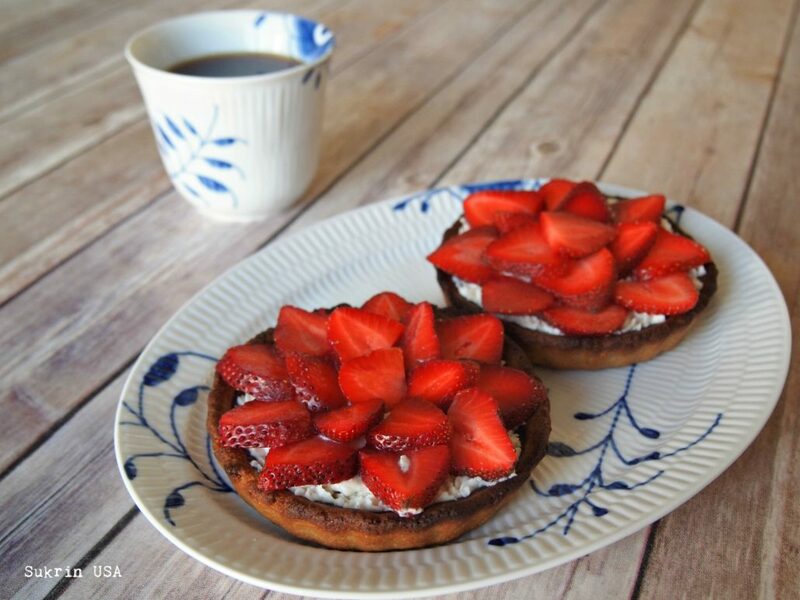 STRAWBERRY TARTLETS ARE JUST 2.6 NET CARBS EACH! These refreshing strawberry tartlets are the ideal light dessert for any summer night. They have the perfect combination of crunchiness, creaminess and refreshing strawberry taste without any of the guilt! The recipe makes 4 bigger tartlets or 8 smaller ones and has been adapted and translated from the Danish blog, Madbanditten. Make the tart crust first. Combine all of the ingredients in a bowl and mix until the mixture becomes dough-like. Let it rest for approximately 30 minutes in the refrigerator. Cut the dough into 4 (or 8 smaller) balls and shape them to fit in a pie form. Bake the crusts for about 15 minutes or until they are golden and crunchy. Keep an eye on them. Let them cool completely. Melt the chocolate and brush it on the inside of the crusts, covering the surface completely. Let cool until the chocolate hardens. In a bowl, combine the mascarpone, vanilla, heavy cream, and Sukrin Melis. Taste! Place the cream in a piping bag and decorate the pie crusts using the cream. 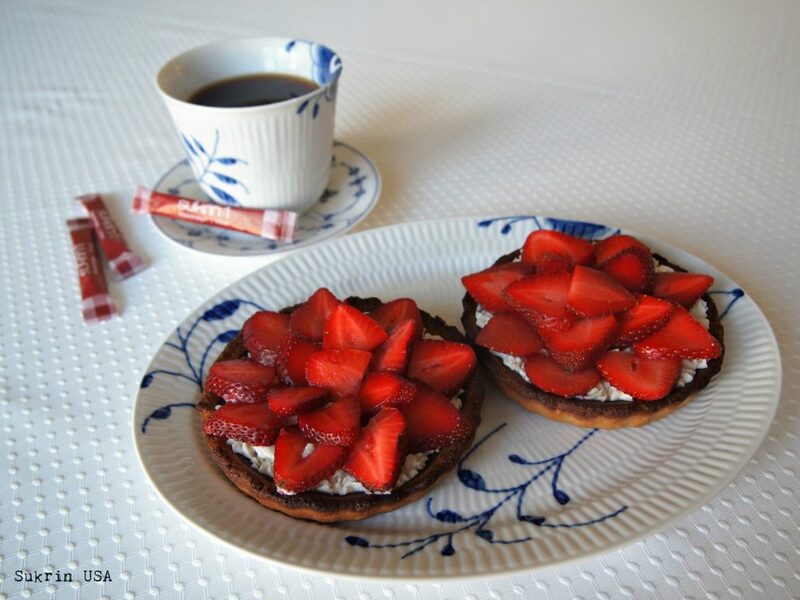 Add slices of fresh strawberries to complete the tarts!